The Huddle Enterprise Plus solution offers an all-inclusive, interactive collaboration system. 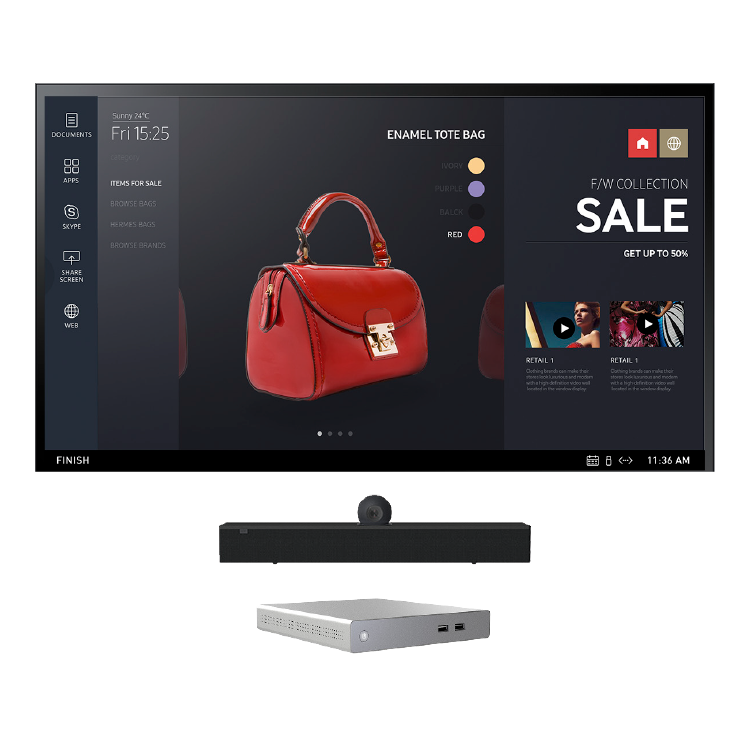 The Huddle Enterprise Plus solution brings HARMAN’s AMX Acendo Vibe sound bar and AMX Acendo Core meeting platform together with Samsung’s touch-enabled PMF-BC Series displays for a truly interactive space. 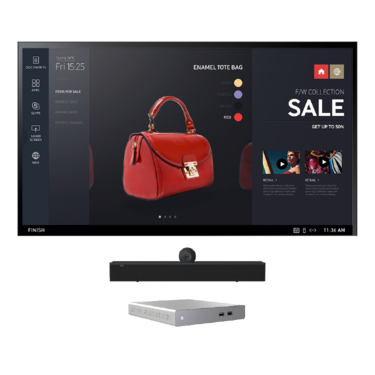 This solution elevates the traditional meeting experience with multiple touch points and a wide-view camera, allowing all meeting participants to engage in real time. As a result, neither facilitators nor participants need to bring any external devices or materials to the meeting, making Huddle Enterprise Plus the optimal solution for convenient, rich impromptu collaboration.